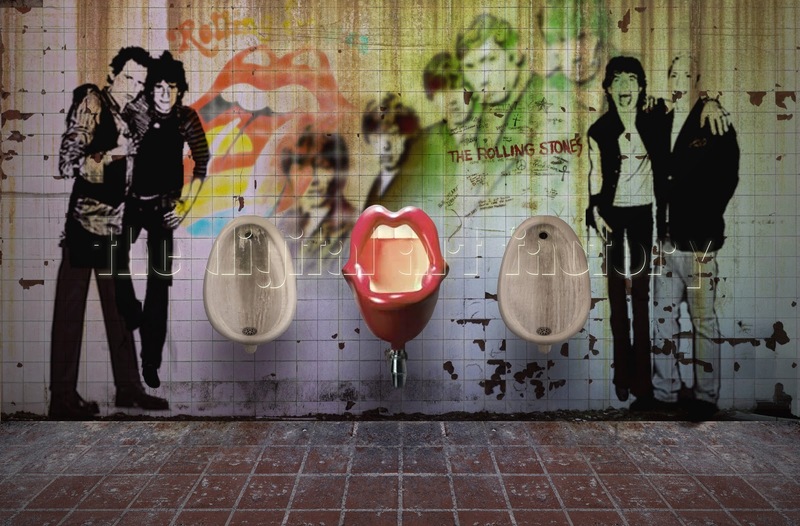 This thread is for live updates and comments regarding The Rolling Stones Pittsburgh PA USA 20-June-2015 show. Please tell us your pre- and post-show thoughts and comments here. Pittsburgh is on Eastern Time in America. Add 6 hours for Central European time, add 5 hours for UK time and so on. Just watched the local weather forecast - rain from TS Bill imminent and then some late afternoon (some heavy) but looks like the worst is past by show time. Keith - please wave that stick for us all today!! If I get a connection, I will Periscope. Look for @tigerpurr1 or Debbie Tiger. No song vote for Pittsburgh. Why? Should keep the football designs to the football tongue posters. much better than the Heinz mustard yellow shirts. 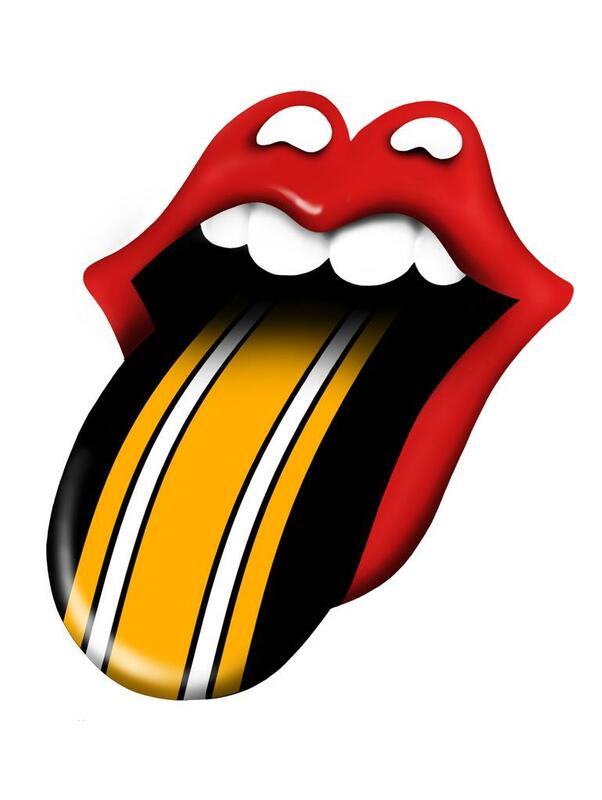 Wish I could get just the Steelers/Stones "logo" on a black T-shirt. Longer fan of the team than I am of the band. Hope everyone attending has a great time! Flash flood warnings here right now, but it does look like it should clear some by the time the band takes the stage. Got my rain jacket and umbrella, so it's all good. The Doubletree downtown Hilton is awesome, we got a corner suite that's huge. Lots of room for me and the teen boys. Stay dry everyone, it's going to be a great night! that's great, Latebloomer. I take it your boys are hitting the show? Their first? Have a blast! Ponchos are 97 cents at Walmart. Outdoors,spurting goods area. I will folow you great! Tonight I work night shift in my hospital so when patients stay quiet I can follow the show on IORR and periscope. Everybody who's going to the show, wish you all a great time! Especially you, latebloomer, with your teenboys. Have a teenboy myself so know what it's like. Your joy must be doubled just looking at them. Finally!!!!!! The Stones in Pittsburgh!!!!!!!!!!!! Anyone have an idea of when the merch tents open up? There is a ton of rain headed right for Pittsburgh. We are starting to get shrapnel from the storm here in Buffalo. Maybe they should delay the show until midnight or move it to Sunday. Thanks. peoplewitheyes! It's the second stones show for my son, first one for his friend. As part of their education, we listened to the Stones for the entire six hour drive. They were good sports about it, and my son even asked for his favorite, EOMS, which warmed his mother's heart. Coming up to a little more than 7 hours before the show and no song vote. Has there been a show without a song vote this tour? Merch tents are open...opened yesterday. East side of Heinz for sure. Have a great time. Many fans are about & carrying merch bags. We were reminded the bags are not allowed in concert unless in the small clear bag. Minneapolis song vote did not come up until about 5 hours before show time. I have LD tickets for Pittsburgh and did not receive an email from TM. Just got back from a walk around Heinz Field. Will call window is on East side, not open yet. Does anybody have specific Lucky Dip pickup instructions they could share??? Where and when? Edited 1 time(s). Last edit at 2015-06-20 21:36 by josepi. LD: Press Gate across from Casino is the pickup ticket location. Gonna hit the sidewalk soon, we'll try to make it over to Jerome Betts grille. Hope to see some of you there! Can't remember, who is the opening act? Creepy restrooms at Jerome Bettis grill. Respond after being there. I'm planning on grabbing a bite and a few beers at Bettis Grille too. Will be at Bettis' later just got checked in, was hoping a song vote would be up by now but looks like another predetermined pick maybe a special guest?? "Ugh" is right for mixing Stones with any NFL logo stuff imo. Stones are music, NFL is silly.